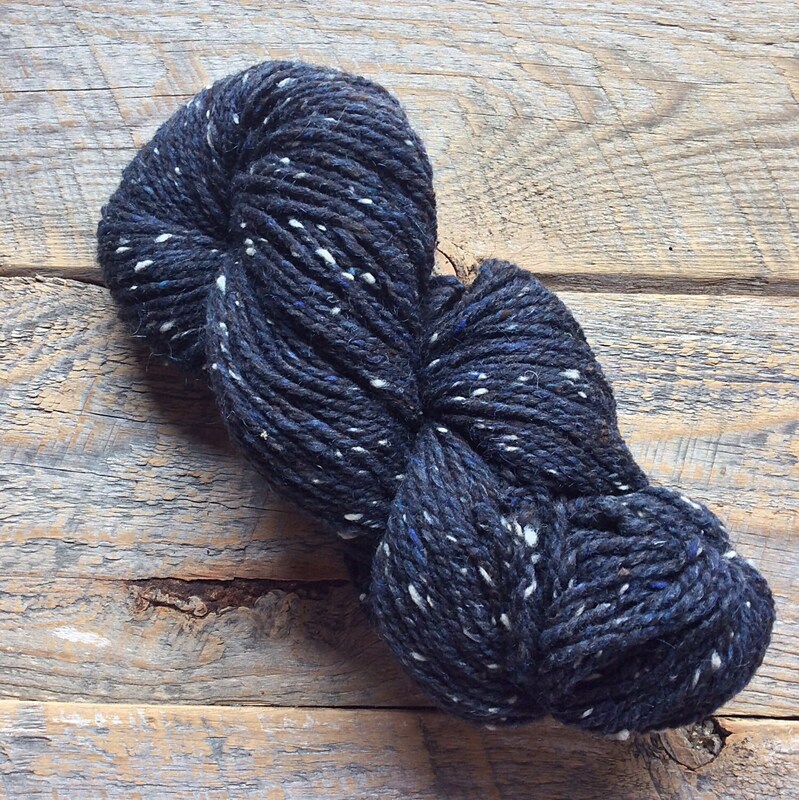 Blue, black heathered with white flecks. 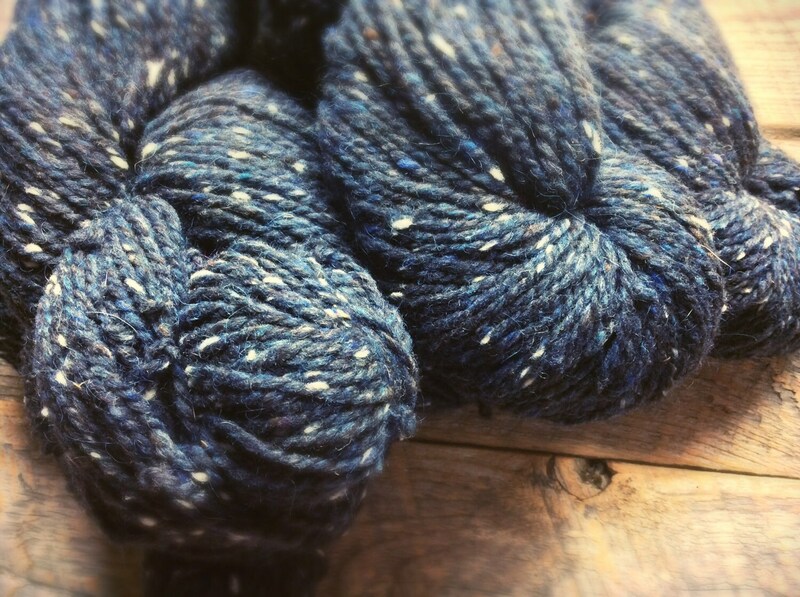 This yarn relaxes the more it is washed & worn, quickly becoming a favorite! 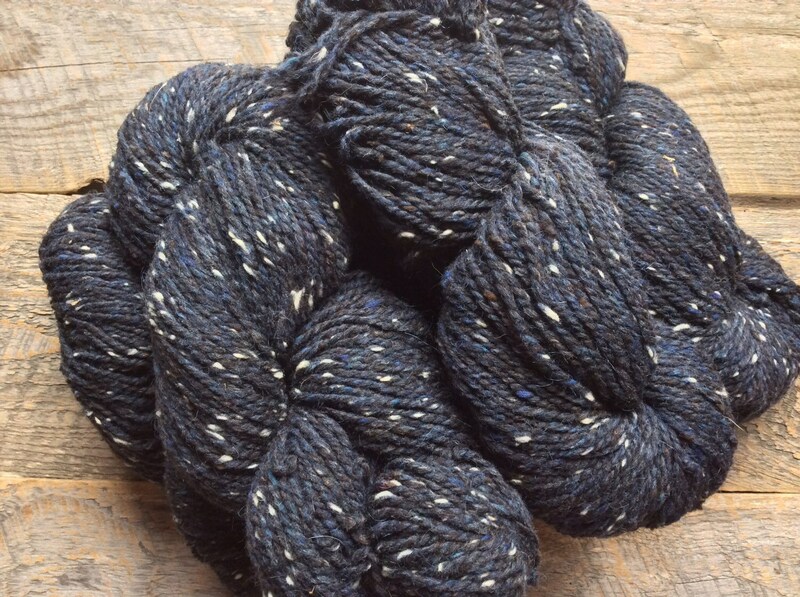 This is a good, sturdy working yarn that is very warm, especially in sweaters and vests. It will surprise you after you wash your project and you will see why your projects could last 10 or more years! Um besides being absolutely stunning it's just about spot on to one of my favorites that is no longer in production. I have been trying to find something to match it for years! I'm so delighted, thank you so much! Beautiful color yarn & I received it quickly. Very happy with purchase. 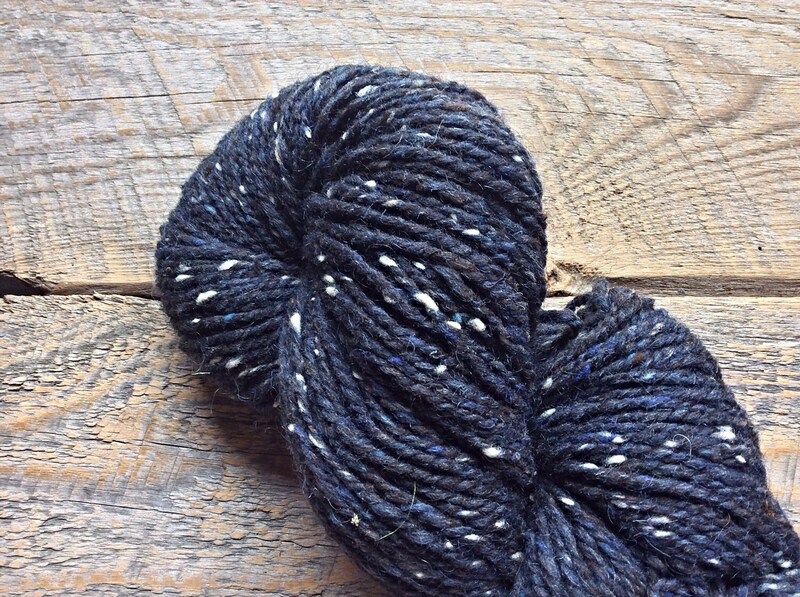 I love the color and can't wait to knit my hat.